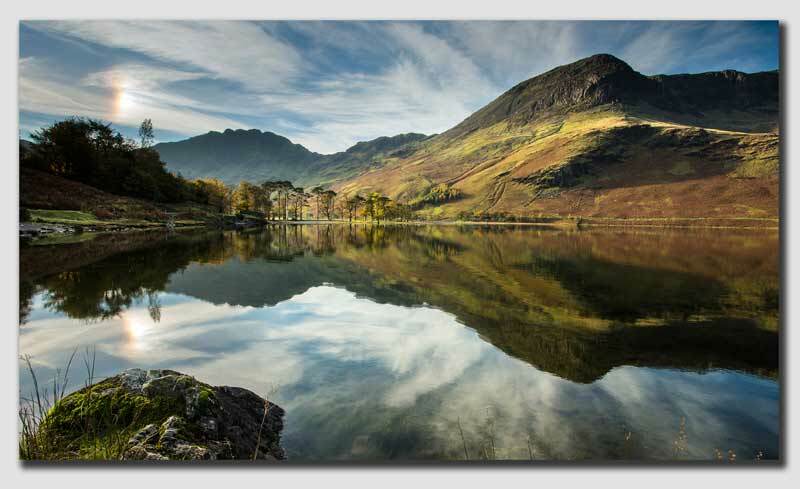 Almost perfect reflections on an Autumn Morning at Buttermere. Complete with an 'ice crystal' in the sky. Canon EOS 5D mkiii, 17-40mm 'L' Lens.